16 years ago, Ely Wine Bar at 22 Ely Place, is where it all began. Erik and Michelle Robson located a vacant Georgian building on Ely Place that was to become Ely Wine Bar. Ely Wine Bar opened in December 1999 originally offering 100 wines by the glass, including champagnes, sherries and ports and in the process changed the way in which wine was sold in Ireland. Passionate about wine and always respectful of its traditions and culture, today Ely boasts over 500 wines by bottle, 100 wines by the glass along with an extensive range of craft beer, whiskeys, gins and cocktails. Since the beginning, Ely has had a commitment to food provenance, always delivering fresh, flavoursome Irish food and this seen throughout all of Ely’s menus with all of Ely’s organic beef, pork and lamb sourced through their own organic family farm in the Burren, Co. Clare. Ely now has 2 outstanding venues in Dublin city: Ely Bar & Grill, in Dublin’s Docklands, is Ireland’s oldest wine venue located within beautifully restored 1821 wine vaults and Ely Wine Bar is the iconic and original Dublin wine bar with an intimate, elegant setting in the heart of Georgian Dublin. Ely continues to offer the very best in Irish food provenance since 1999, from “Pasture to Plate” rearing our own beef and pork on our own organic family farm in national Irish landmark, The Burren, Co Clare. Ely’s “Craggy Island” Burren lamb comes from a good friend and neighbouring farmer, the McCormacks, who live in the infamous Father Ted’s house. Hugh Robson, Erik’s dad, farms roughly 450 acres of typical Burren land – plenty of rock, with wild flowers found nowhere else in the world. The farm is home to 120 animals that are organically sourced and farmed according to a system that’s 6,000 years old and unique to the area. Using only locally produced seasonal ingredients, everything is traceable at Ely. If we don’t know where it’s from, you don’t get it. We want our people to make you feel special and that’s what they enjoy most. There’s not a lot that feels better than a job well done, from the initial greeting to recommending a food and wine pairing, be it an all-out-meal and ‘that’ bottle of wine or some bar bites and a glass or two. A smile, great food and wines, a proper coffee all brought together and rounded off with the good company of friends. An Ely manager has a wise head. 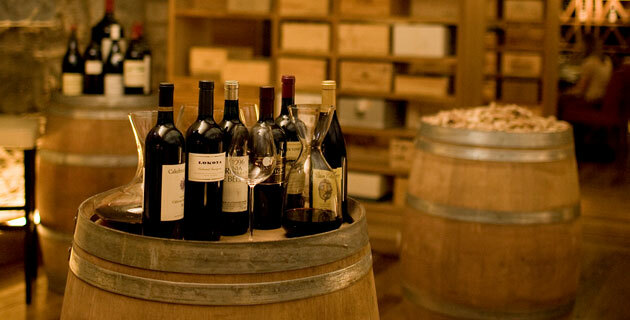 They’re knowledgeable about food, wine and the art of restaurants. They’re constantly learning, tinkering, tasting and listening. They in turn impart that experience, know-how and knowledge onto their teams. Our team of waiters are constantly learning too. What cheeses are good for the week ahead. What seafood, vegetables and game are in season and what the chefs plan to do with them all. Team training is a constant. Visiting vineyards, breweries, distilleries and of course farms. Doing courses, attending tastings, opening bottles and having fun along the way. Our chefs aren’t shy in coming forward either. Night-time reading seems to be cutting edge cook books from around the world. Forever with the whats ifs. Can we pair this with that and definitely that with this! Evolving and change but sometimes staying the same, after all you can’t always mess with the classics. Together we hope to create a space where you can relax and enjoy really good food with really good wines, you bring the really good company and we’ll bring the really good service. Put it all together and that’s what great memories are made of. Having established Ireland’s best wine bars and restaurants, entrepreneur Michelle Robson, along with husband Erik, celebrates 15 years in business. A dedicated business woman, Michelle’s ethos is to deliver a consistent & quality product daily, which she does tremendously, while continuing to grow and expand the hugely successful Ely brand. Erik Robson likes to come up with a different answer, he’s not interested in thinking and doing the same thing that everyone does. This quality has seen Ely excel and grow, year after year, for the last 15 years. Erik, along with wife Michelle, has done a truly significant thing for Dublin, getting folks to drink the world’s most interesting wines. Ryan hails from Dungannon in Co. Tyrone and has been part of the Ely team for the past 9 years. Ryan’s experiences in Italy, Australia and California have been strong influences in Ryan’s style of cooking, namely allowing the quality of the fresh produce shine through. He has the huge task of creating menus for 2 very busy restaurants, keeping over 300,000 diners happy each year. Award winning sommelier and avid Champagne lover, Ian Brosnan, happily shares his years of experience and knowledge with Ely’s customers. Offering a variety of wine experience packages, Ian educates about food and wine matching, wine tasting along with wine production while most importantly keeping it fun, fresh and interesting. 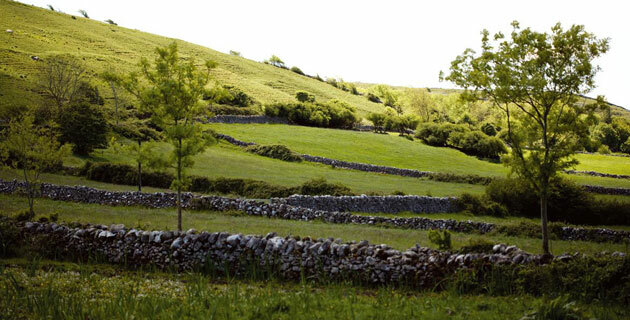 All of Ely’s organic beef, pork and lamb is sourced through our family farm in the Burren, Co. Clare. Hugh Robson, Erik’s father, has been in the restaurant business, in one form or another, for a very long time. He runs 400 acres of organic farmland in the Burren, Co.Clare with an organic herd of Angus X cattle plus organic Gloucester Old Spot and Saddle Back pigs. Hugh has enjoyed two terms as President of IOFGA and also sources most of our wild game and all of our conventional beef. Since 1999, Ely has been at the forefront – being the first to truly deliver great wines by the glass and by the bottle. Ely has revolutionized the wine and wine bar scene in Dublin and continues to pioneer wine through its knowledge and research, repeatedly being awarded best wine bar and best wine experience in Ireland. We love nothing more than to connect our customers with the winemakers we know and respect through a great glass of wine. Whether it’s a ‘cool climate’ Shiraz from the Yarra Valley, an intriguing Grechetto from Umbria, an eye opening Pinot from Costers del Segre or an aged Chenin Blanc from the Loire, we’ve tasted it and decided to share it. We don’t seek out the cheapest or most expensive wines, but rather those that are true to their origin, their terroir and their creators. Wines that reward. Passionate about wine, we are always on hand to talk to customers about the wine they like to drink, and to help educate those who are interested to learn more.